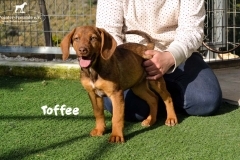 TOFFEE, Pointer-Mix, geb. 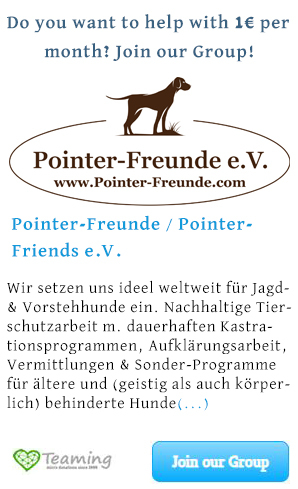 02.11.2018 - Pointer-Freunde e.V. 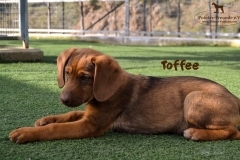 TOFFEE is a very relaxed, calm puppy. 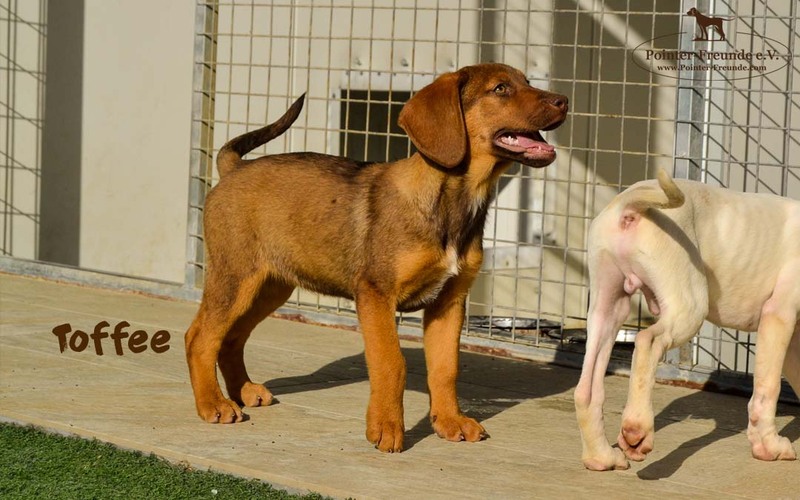 She likes to play with other dogs – but only from time to time. 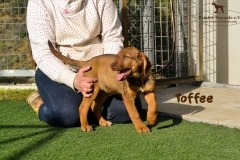 🙂 She needs a lot of cuddles and loves to snuggle up with her humans. 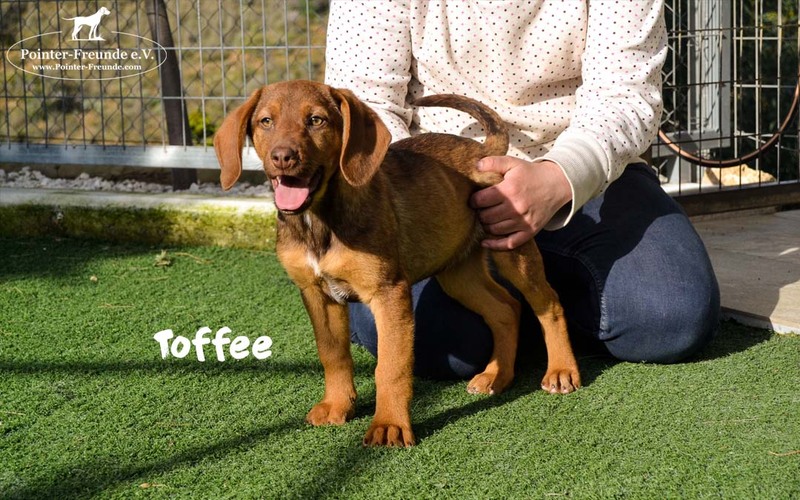 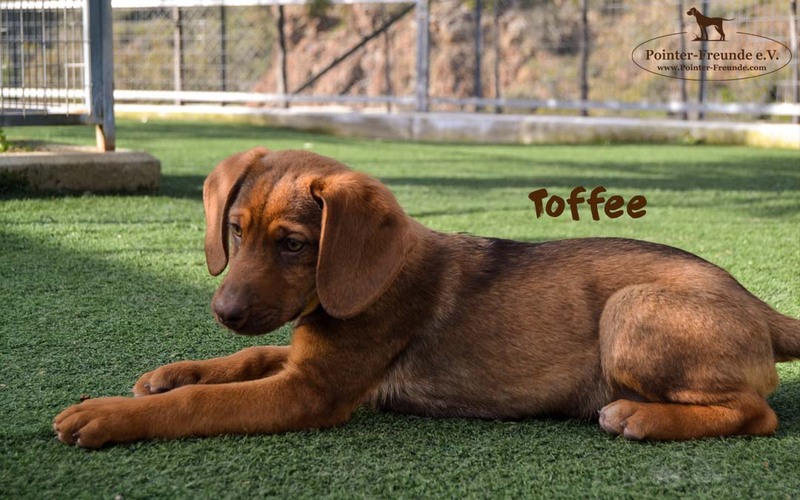 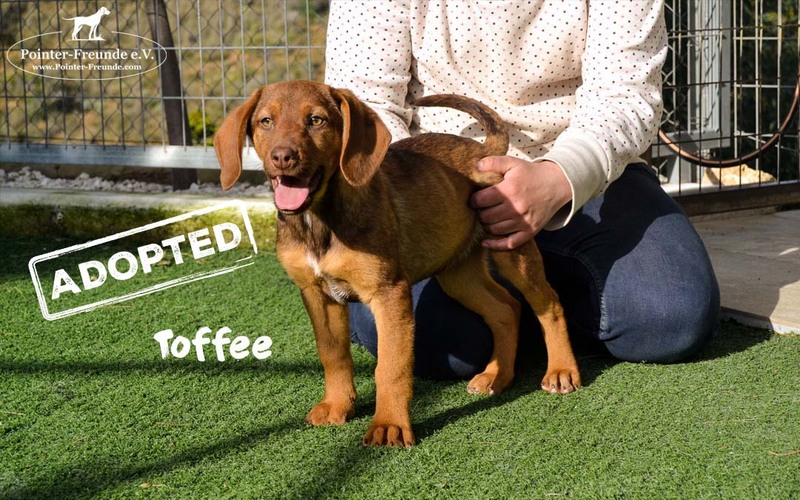 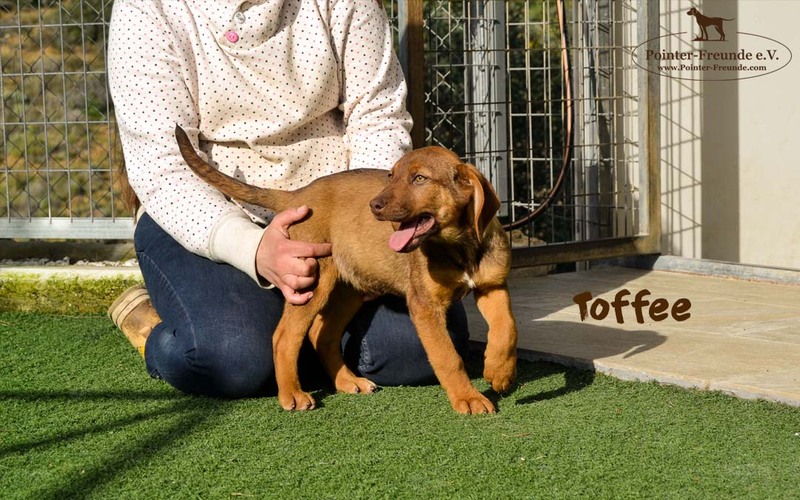 TOFFEE and her siblings can travel anytime, as they have their EU-passports, are chiped, vaccinated incl. 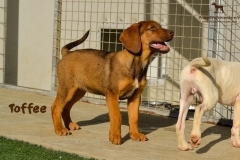 rabies, deflea and deworming.